Wood shingles have been used to roof houses for literally hundreds of years. They are some of the most dependable, attractive materials that you could choose. Wood shingles are among some of the most desired materials that you can roof your house with. These shingles are beautiful, and durable. They are also hard to maintain upkeep and expensive for the individual shingles and installation. Here are some details on wood shingles. Wood shingles’ pros start with how attractive they are. They are some of the nicest shingles money can buy. And why wouldn’t you spend the money? 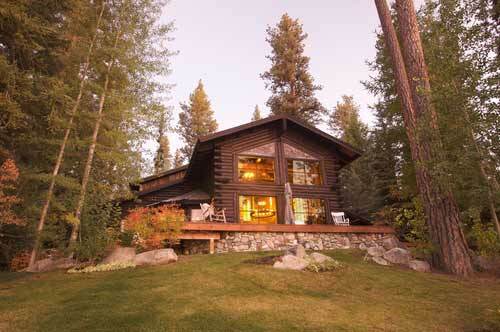 Along with being beautiful, wood shingles are also very durable. They last a long time (normally about ten years longer than regular asphalt shingles) and can more easily withstand severe storms. This helps in hurricanes, heavy rain, hail storms, snow storms, and other severe weather. Another reason to invest in wood shingles is because they have proven to be very energy efficient due to their natural insulation. You have save on your energy bill because it retains heat in the winter and cool air in the summer. Despite that these pros are all wonderful, there are a few cons. One being that since these shingles are beautiful and desirable, that is part of the reason wood shingles tend to be more expensive. They tend to be four hundred to seven hundred dollars per shingle. Installation can cost anywhere from $7,000 to $15,000 depending on different factors of your roof. Regular asphalt shingles run about one hundred dollars to one hundred and fifty dollars, which is much more inexpensive, but asphalt shingles are not as attractive nor do they have as many benefits. Another con is that wood shingles tend to be more susceptible to moss, mold and mildew. They are also sensitive to moisture and insect. Wood shingles need almost constant upkeep and maintenance. There are ways to help protect a cedar roof from moisture, moss, mildew, mold, and insects however. At the time of installation you can spray the shingles with cedar treatment preservatives. Once a year, you should brush the dirt off of your roof with a push broom after several dry, sunny days in a row. This is so that the dirt will be easy to sweep right off. If there is an exceptional amount of dirt, you could use a power washer to spray the water off, though please avoid doors, windows, vents, and foliage, to avoid damage to those things. You should wash from top to bottom, in five feet horizontal stripes, with the nozzle about eighteen inches from the shingles. In humid areas, you should coat shingles with a sealer every three to five years. While wood shingles are expensive and a tad more difficult to maintain, they are a great investment and are worth the work because of how beautiful they will look on your home. Remember that the pros (attractive, durable, weather resistant, and energy efficient) far outweigh the cons! You will certainly enjoy your cedar roof.